Nablus. Palestinian Territories. 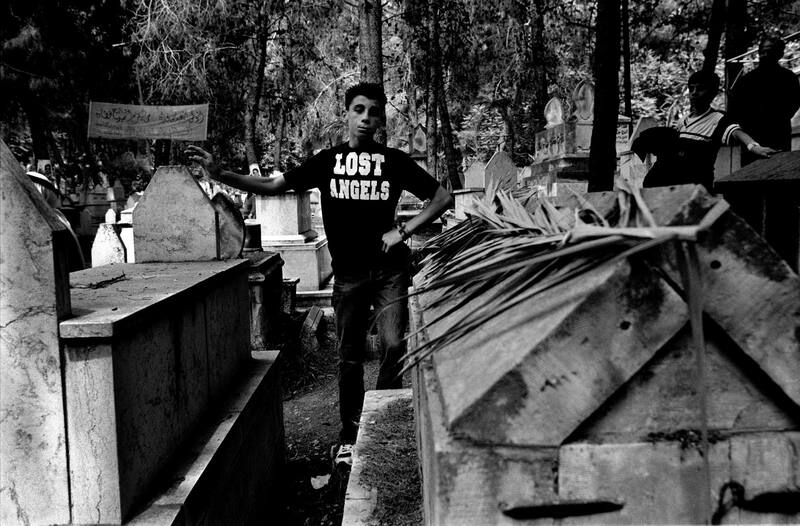 May 2004 A mourner in the cemetry at the burial of a militant killed the previous day by an Israeli air strike.